How Long Will My New York Workers Comp Case Take to Settle? Why Is It Taking So Long To Settle My New YorkWorkers’ Compensation Case? This is a question that I hear on a daily basis from claimants who are eager to finalize their case. 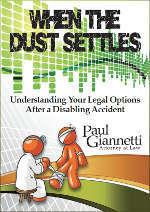 There are many reasons that New York workers’ compensation cases are often very slow to settle. In some instances, the insurance carrier has no interest in settling the case and no obligation to do so. Unless all parties agree on a settlement, one cannot occur. The Workers’ Compensation Board has no authority to require settlement under Section 32 of the New York State Workers’ Compensation Law. The next reason settlements take so long involves the necessity of securing Medicare set-asides in many cases. A Medicare set-aside is a method of protecting Medicare’s interest in a New York workers’ compensation claim. Medicare has such an interest when the settling party is Medicare eligible or likely to become Medicare eligible within a certain time frame. A Medicare set-aside is an amount certain, set forth in the New York Workers’ Compensation Section 32 settlement agreement, which must be “spent off” by the injured party on future medical costs before Medicare will become liable to pay for any injury related medical treatment. If the terms of the set-aside are met and the injured party can demonstrate they have spent off the set-aside amount to pay for causally related treatment, Medicare may then become eligible. However, Medicare will not be liable for any related medical expenses until such time as the Medicare set-aside amount has been met. In this way, Medicare protects itself from being bombarded with medical bills that are related to a Workers’ Compensation claim simply because the injured party decided to take a settlement. In New York, the entire Medicare set-aside process, including CMS approval, can typically take between four months and one year. Once the set-aside number is procured by the insurance carrier or its vendor, it must be approved by the Centers for Medicare and Medicaid Services also known as CMS. CMS approval is often a four to eight month process in and of itself. The bottom line is even when all parties agree on a settlement amount the MSA/CMS process may have to be completed. That process will delay final settlement for many months. Once the set-aside has been presented to CMS there is nothing that either claimant’s counsel or insurance defense counsel can do to speed up the process. It is simply a waiting game. A final reason why New York workers’ compensation settlements take so long involves policies in place at the Special Funds Conservation Committee. The Special Funds Conservation Committee is often required to reimburse an insurance carrier for some of the payments made to the injured worker. As such, their authorization and signature is required when any case, in which the Special Funds Conservation Committee is involved, is settled. In addition to the lengthy delays required to get the Special Funds Conservation Committee to authorize settlement, it can also take quite sometime to get their signature on the settlement documents. The Special Funds Conservation Committee also has in place a general rule that if they are agreeing to a settlement in one case than each and every other Workers’ Compensation case owned by the same claimant must be included in the settlement. This policy is baffling and often necessitates redrafting settlement agreements, retrieving archived cases, and/or re-negotiating settlement amounts. 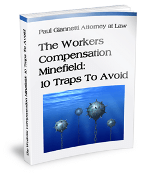 There are many reasons why Workers’ Compensation settlement can seem to take a very long time. Those listed above are the main reasons. Without experienced counsel, a fair settlement is often not possible. If you have questions regarding your New York workers’ compensation case or would like to discuss whether or not your case can be settled, please feel free to contact our office.